To see what some of our clients have to say about us, mouse over their names in the list below. “Events are often moving targets, and they can be very stressful....But not when you work with IGW. Mike's attention to detail, his professionalism and his comprehension of the brief meant that he and his team had all bases covered. His 'can do' attitude and dedication to the job meant that for our conference he became one of the team. That's the way we like to work, so, thank you Mike for making last minute changes stress-free. 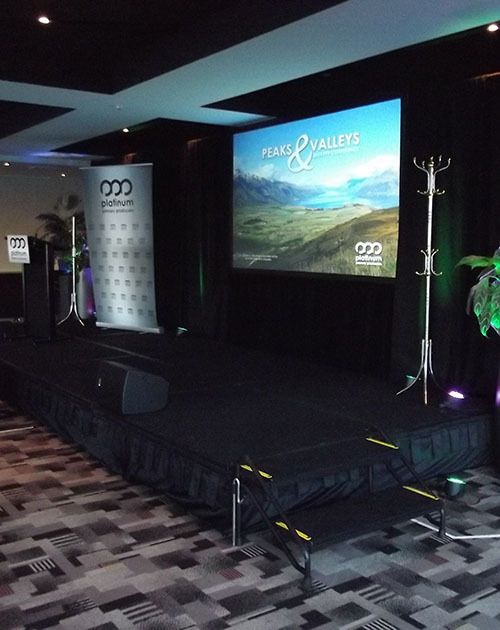 “I have engaged the services of, Cromwell based, IGW Event Technology Specialists on two occasions, once in Queenstown in 2014 and once in Blenheim in 2015. On both occasions the AV requirements were varied and across multiple rooms. Ably led by Mike Lobb, the team have delivered excellent AV support to my clients & my own team. Nothing is an issue, any "out of left field" requests were dealt with professionally and in a timely manner. Our keynote speakers spoke highly of the efficiency and expertise of the team and their "lay person terminology" approach to complex situations. The team have the latest equipment and ensure that it works in with any venue AV equipment to the benefit of the client. “Mike and his team have been working with the hotel for years and have proven themselves over and over again as the company to beat. Mike is fantastic with our clients and makes the whole process, from quoting to conference to billing, easy and stress-free. He works with the hotel to make sure everything is seamless and runs on time. He deals with last minute requests with a cool calm head and never seems to get flustered (and we have given him plenty of reasons to over the years). “Mike has worked closely with us at Queenstown Regenerative Medicine on a number of projects. One of them being at The Hills, Michael Hill's golf course, which was challenging to say the least. One of the Professors needing to be linked in from Auckland. There were many presenters with various requests, as well as the event being filmed by Widescreen Productions. Mike had to consult with all the various parties. He was the ultimate professional and took everything in his stride. The whole evening went seamlessly, thanks in large part to Mike. He is always punctual, reliable and a pleasure to work with. He has a solution for every problem! “IGW went above and beyond to look after our group! We had amazing feedback from the guests, and everyone was raving about how patient and efficient Mike was!